Ok my simmers I've finally gotten around to getting these together! 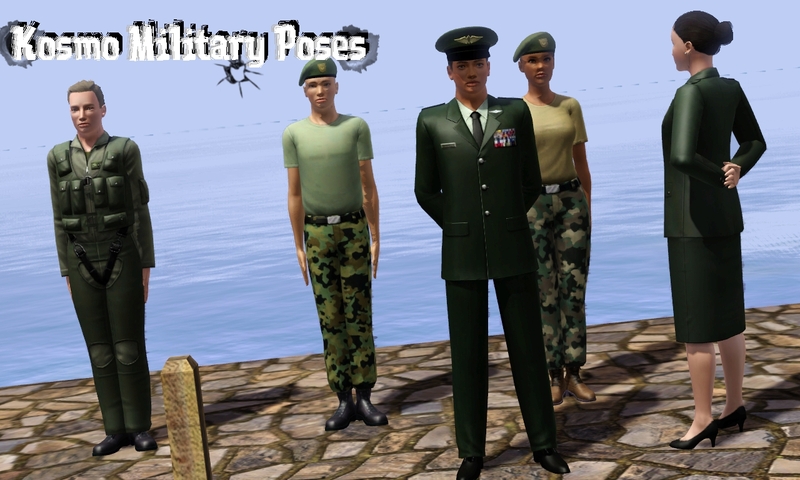 And to make up for taking forever and to celebrate the start of my summer vacation I'll be posting not only this pose pack, but I will be posting a second Tattoo Pose pack and a new sim for you all to play with. Now I've been a bit scatter brained recently so if thee is anything!! wrong with these poses please let me know! All these poses are unisex. 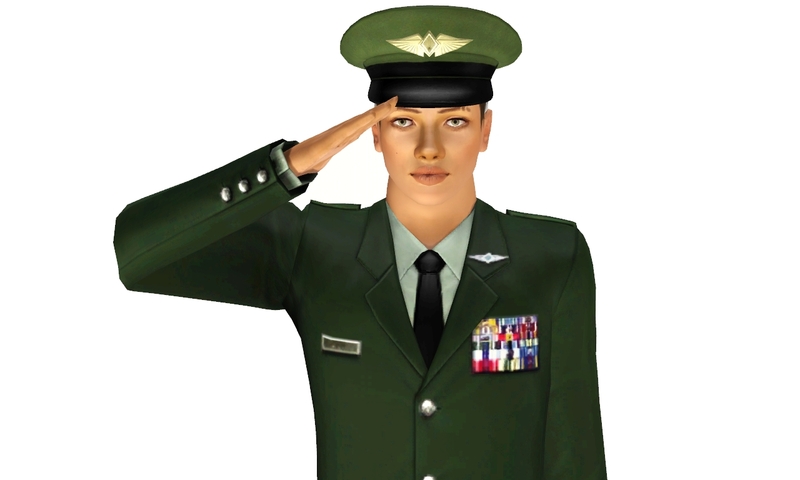 I know that there is more than just men in the military and I tried my best to make sure they work with both genders. Now...I'll shut up and let you all get on to downloading. Pose 5a(Male) and 5b(Female): Welcome Home Couple's pose! 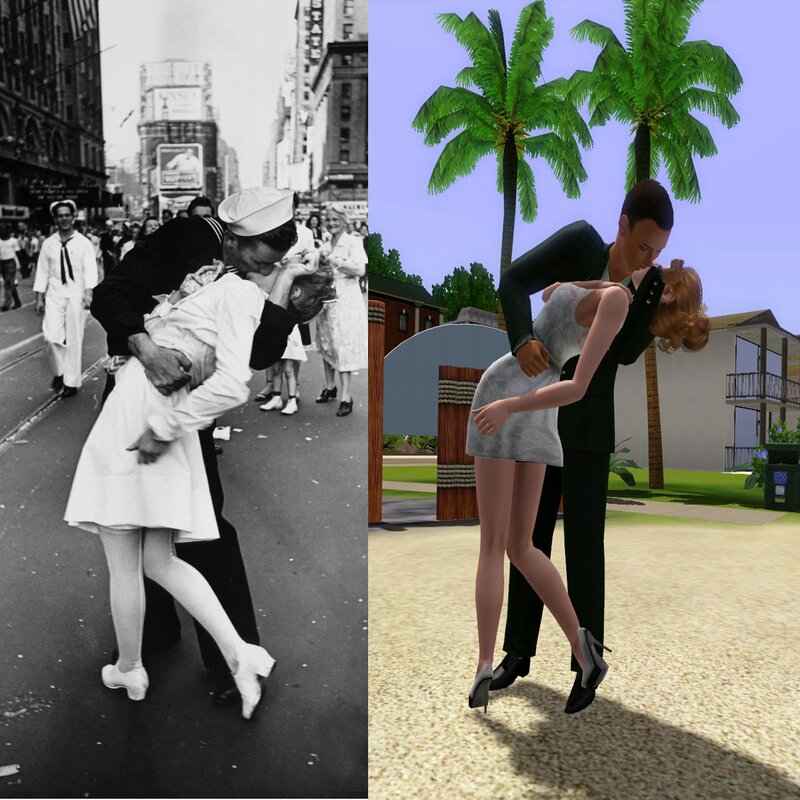 Based off of the "Legendary V-J Day Kiss" picture taken in Times Square. 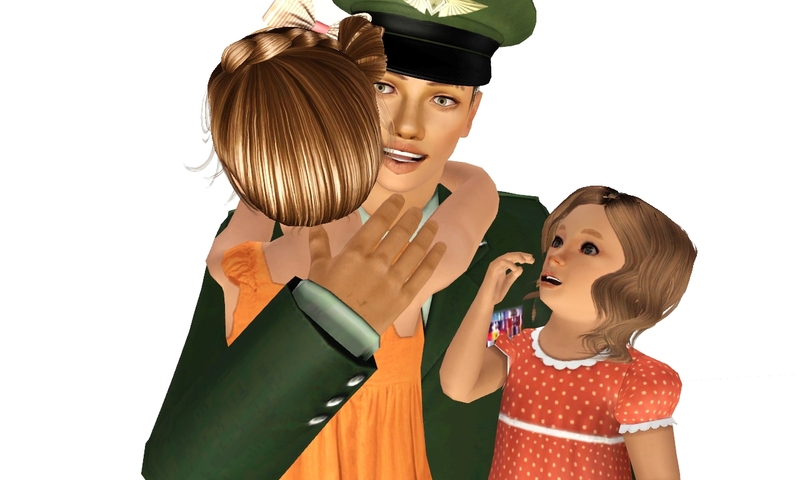 Pose 7(Adult Unisex) 7a(Child) and 7b(Toddler): Welcome Home Family Pose! Sorry for the lack of different angles and any misspellings...lol. These pictures were taken awhile ago when I created this pose pack and I'm too lazy to take new ones :P. Once again Any problem, leave me a comment or E-mail me at KosmoKhaos@gmail.com. Enjoy the poses my lovely simmers and simmerettes! These are pretty cool and really good for a story. Thank you. Awesome poses, the kiss one is amazing! I love these poses. Being married to a military man myself, the only thing I can suggest is the "attention" pose should be loose fists rather than strained hands. Like: http://www.justice.gov/enrd/ENRD_Assets/quantico_marines.jpg but maybe that's just Marines. I can't wait to use these poses in a story somewhere along the line. In the Army, it's loose fists, too. The thumbs line up along the seams of the trousers. 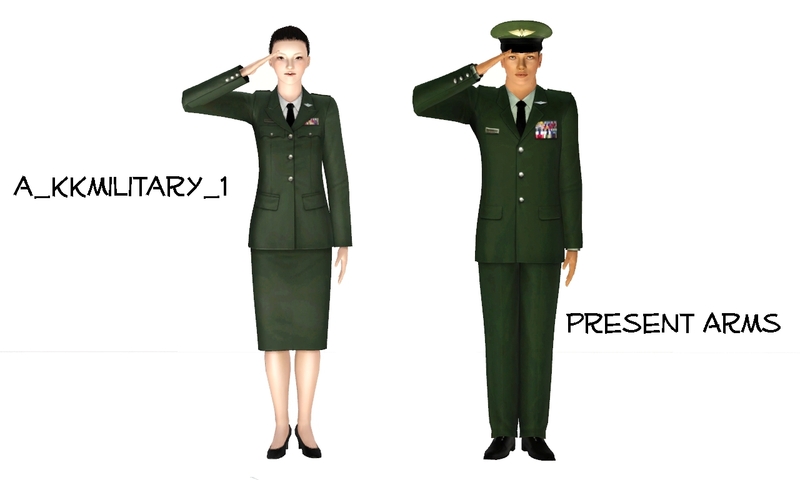 Plus, the dress-right-dress is using the wrong arm; they look like they're "dress-left-dress"-ing, lol! Other than that, the other poses seem good to go. HOOAH!!! Lol Thank You nonny! 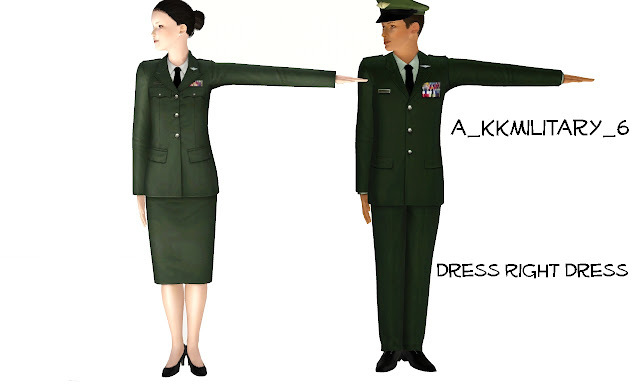 <3 :D But in ROTC Dress-right-dress is left arm out and head facing right so that's what I went by and they do a more closed fist xD. I don't know about the seams O.o I don't think most sim outfits have any. These are absolutely awesome!!! Great job! The last picture is soo cute!! Where can I download the uniforms from!? I have been looking everywhere for realistic dress and combat utility uniforms! These are lovely! Do you have the welcome home kiss pose available by itself with both poses?? This is one of my favorite photos ever! Are they pose list compatible? 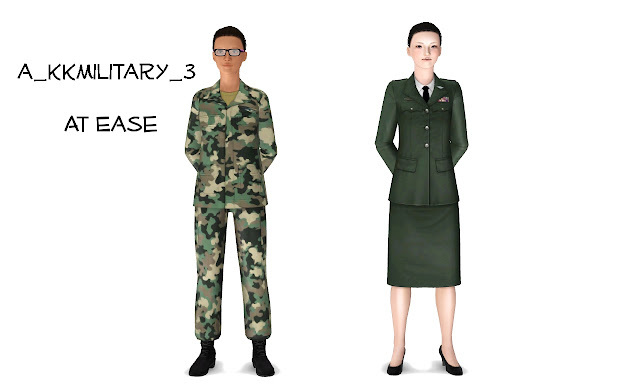 How do i get these uniforms?